In Genoavese dialect a mandillu da gruppu means a “handkerchief you tie up”, and it’s the name of a big cotton handkerchief (31 ½ in by 31 ½ in) that was used by farmers in the countryside. In the past the handkerchief was used to carry groceries, harvest fruit, pick mushrooms, and as a wrap for freshly-baked bread. Women would knot it tightly and carry it in their arms or on their heads, while men would tie it to a stick and haul it on their backs. Today it’s mostly used as a centerpiece or as a picnic dining mat, since the food inside will keep warm and pleasant and ready to serve once it’s unwrapped on the grass. Its broad range of uses makes it akin to the Japanese furoshiki, the traditional fabric used to carry objects or wrap gifts. 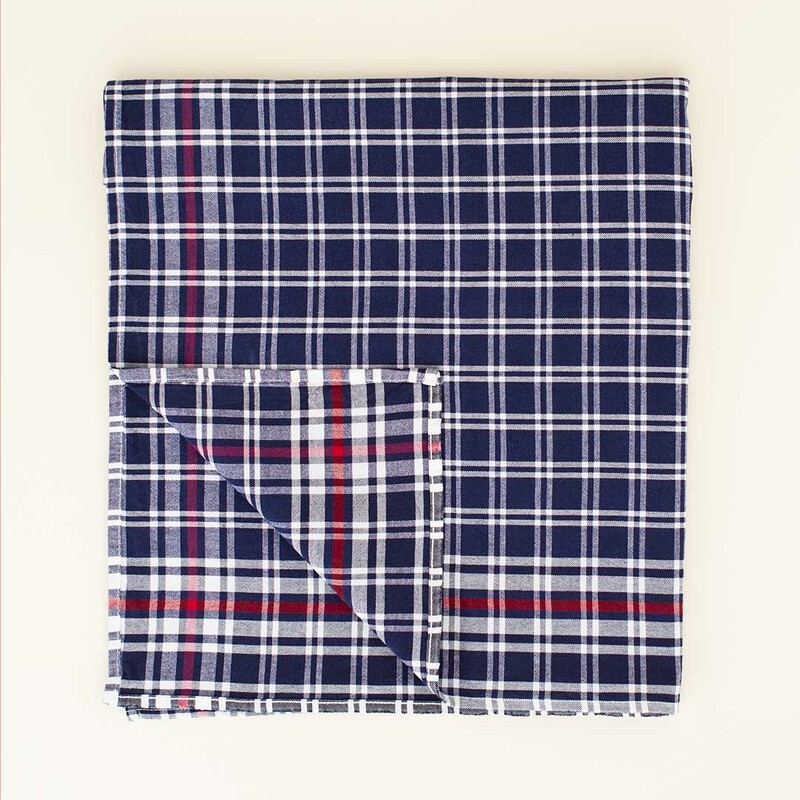 Textile companies still produce it in the typical white and blue squares pattern with a red trim. Production is limited to Liguria only.